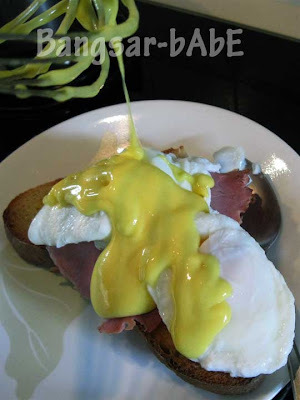 She placed the poached eggs on PORK ham and toast before drizzling a generous amount of Hollandaise sauce on top. 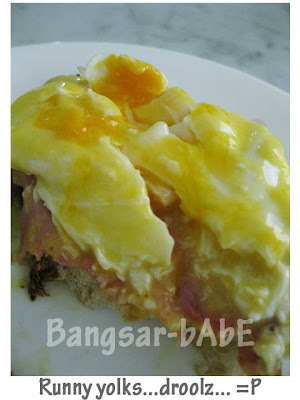 I had this with a cup of freshly brewed coffee. 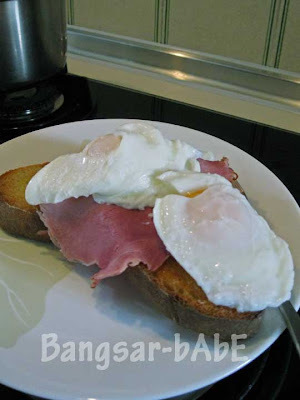 The yolks were perfectly runny and creamy, a sign that the eggs were fresh. I didn’t want to spoil the taste with cracked black pepper, so I had them just like that. 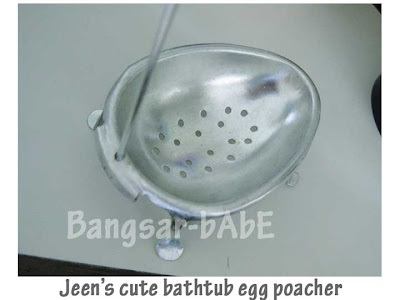 While savouring every delightful morsel, I was seriously contemplating on kidnapping Jeen and keeping her in MY kitchen. Jeen’s breakfast puts Delicious to shame. Seriously! 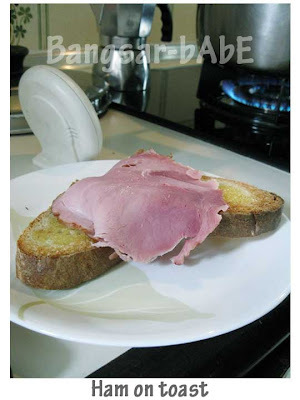 Everything was made from scratch, except the ham. I know that if she could get her hands on a good cut of pork, she would make her own ham too! 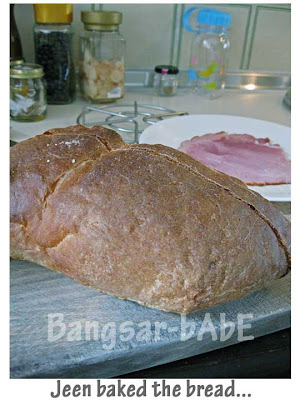 o_0 Thanks Jeen, for a lovely breakfast! 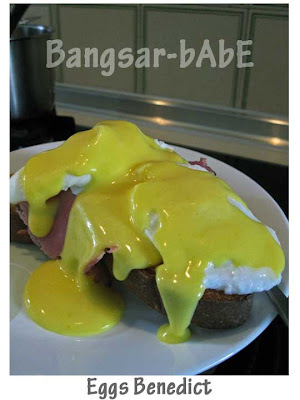 how to make hollandaise sauce???!! 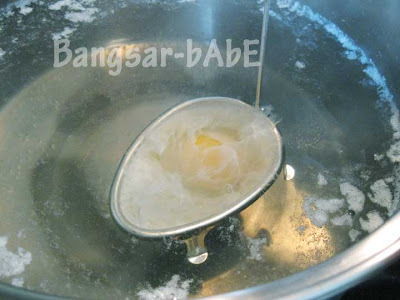 i think you have to whisk butter, egg yolks and lemon juice together. then add salt and cayenne pepper for seasoning.